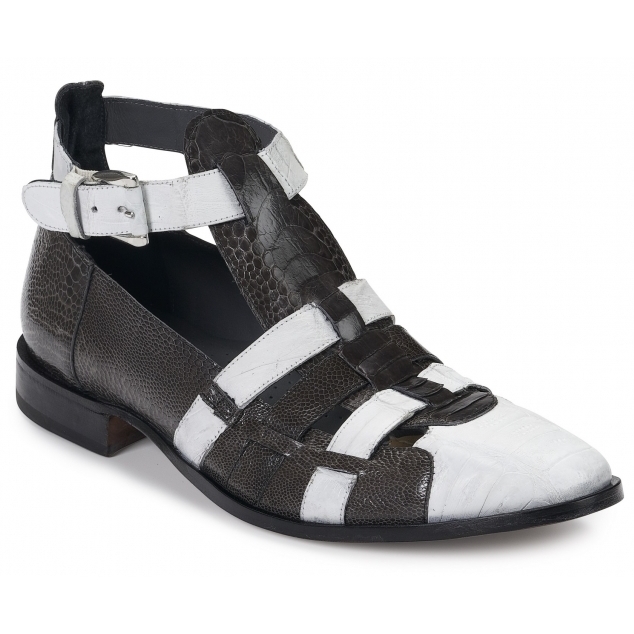 Perfect for the season, these white baby crocodile and dark gray osrich sandals with strap adjustable strap and heel. Leather sole. Made in Italy.